In our last post we revealed to you how big corporations are monopolizing our food system. 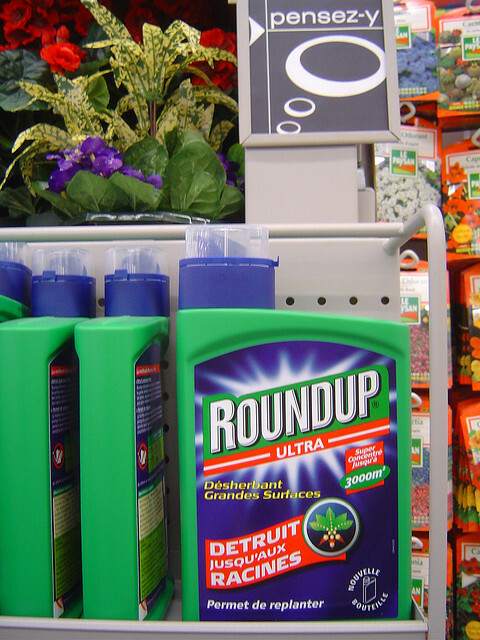 And we also told you that two of its biggest players, Monsanto and DuPont have signed an agreement for close collaboration which includes DuPont getting a license to sell seeds from Monsanto that are resistant to their own herbicide called Roundup. This means that Monsanto both produces the herbicide that kills weeds and also sells seeds that are resistant to its chemicals. Well, new research shows some worrisome findings. The key ingredient of the very popular herbicide called ‘glyphosate’ has been found in food. The author of the report, a research scientist from the Massachusetts Institute of Technology, Stephanie Seneff, said that this residue of ‘glyphosate’ enhances the negative effect of food-borne chemical residues and other toxins in the environment that induce disease. It means that the negative effects are not easily seen. It takes years for them to build up and show their presence. Some of the illnesses Roundup may be responsible for inducing are Parkinson’s, infertility and cancers. Currently the EPA is conducting a standard registration review for the chemical ‘glyphosate’, but it won’t announce the findings until 2015, which means it will take two more years before the EPA orders for a decrease of the chemicals’ use. This might mean two more years of consuming soybeans, corn, canola and sugar beets without knowing if these products are slowly killing us. Many say that with the growing population we need to rely on the new technology to grow more food. A great way Oxfam tried to address this question is through the empowerment of small farmers in their 2009 campaign called ‘GROW’. The campaign aimed to ensure that everyone has enough food to eat by strengthening the small-scale production and urging governments to be more proactive. But is this enough? One thing is for sure: our governments are not doing enough to protect us from big corporations taking over our food system. If we want it to be fixed then we have to ask more questions and demand more changes. Waiting for change won’t do the planet or us any good. Posted on May 9, 2013 May 9, 2013 by saynotofoodwastePosted in NewsTagged food, health, herbicide, land misuse, processed, USA.